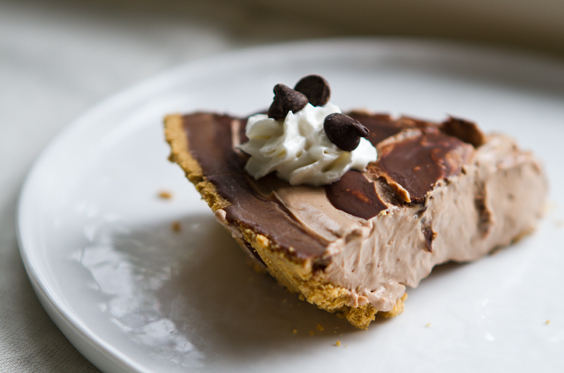 Chocolate Epiphany, Vegan Chocolate Mousse Pie. 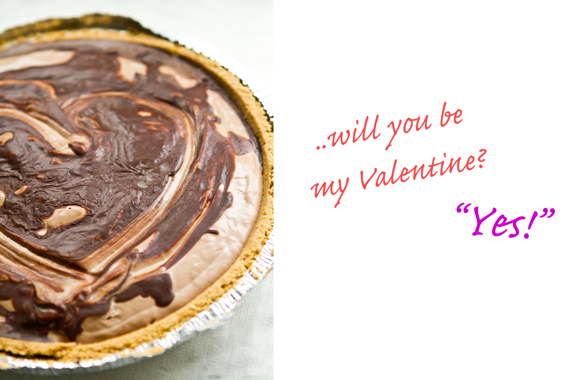 Serve up a chocolate epiphany this Valentine's Day.. Hint of peanut butter. And coconut. 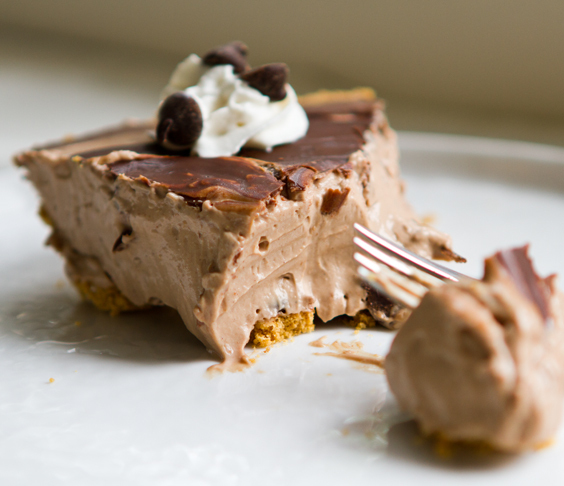 You can also serve as a straight up chocolate mousse..
Vegan Desserts = Yum. Spread the vegan love this Valentine's Day. If someone you love isn't completely convinced that vegan desserts rock, have them give this recipe a try. Serve as pie, simple dessert cups - or make mini mousse tarts to pass around. Serve up a vegan dessert epiphany. And for a full on vegan VDay feast - see my Vegan Valentine's Day Tasting Menu over on Family Kitchen, for recipe inspiration! Not. Low. Fat. 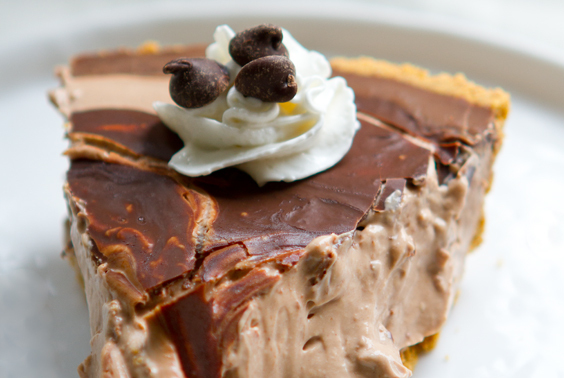 Nope, this decadent dessert is not low fat or low calorie. 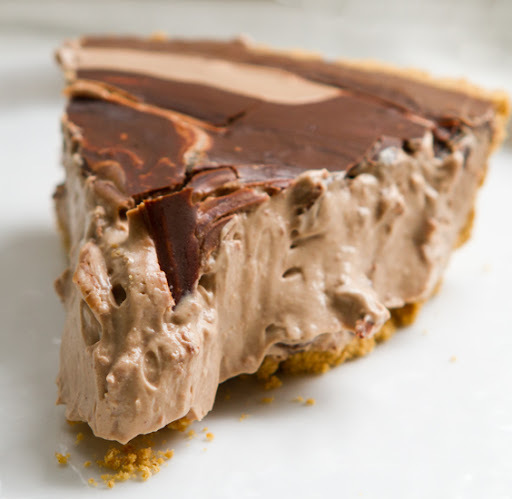 But with that first whipped, fluffy spoonful you will taste how a small slice of this pie makes a big impression. Petite bites taste big. ..but you should feel good about the fact that you are using healthier plant-based ingredients. No milk fat, dairy butter, white sugar or dairy cream here. 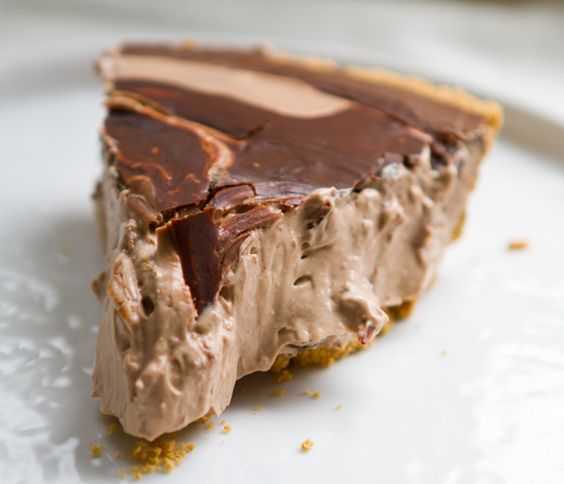 The flavor from this pie comes from vegan chocolate, soy and coconut based ingredients. 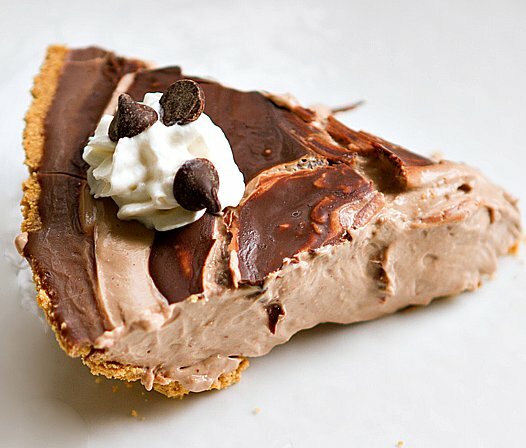 My advice for uber Valentine's Day romance - share a slice - because this stuff is intense - and sharing is just fun. 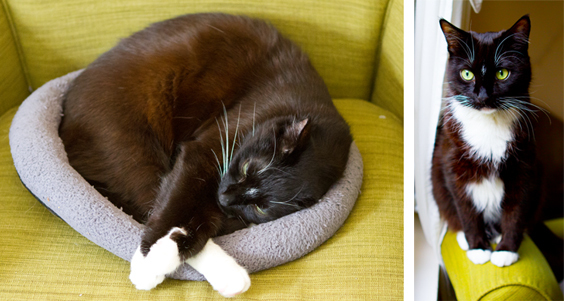 Shameless kitty photo to inspire VDay animal-helping gifts..
1. If making homemade crust, crush the grahams in a blender - about 1 package or 6 large crackers - enough to fill your pie shell when crushed. Fold those grahams together with about one tablespoon melted vegan butter (Earth Balance) and bake in the oven at 400 degrees for about 8 minutes. You can also use a store-bought graham crust - or make your own raw crust using crushed raw nuts like walnuts. A vegan flour/butter crust would work too. 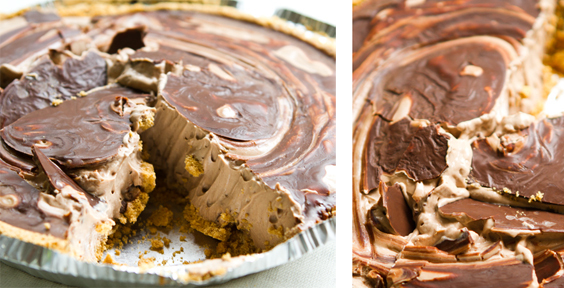 A chocolate cookie crust would also be divine. 2. Blend up the chocolate mousse using a high speed blender like a Vitamix. A food processor would also work. I haven't tried this with a hand mixer, but you may be able to pull it off. 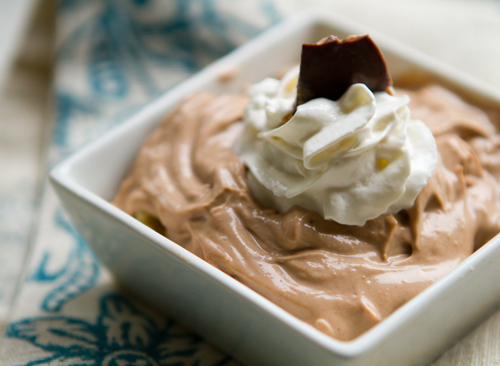 Follow complete instructions in this Chocolate Mousse recipe post. Note: you could easily sub in almond butter for peanut butter if you'd prefer. 3. Last prep step after blending your filling is to melt together the chocolate chips and coconut oil. Set aside. 4. Pour the mousse filling into the crust. Smooth. Then gently pour over the melted chocolate/coconut liquid. Swirl the liquid into the mousse gently creating a heart design. 5. 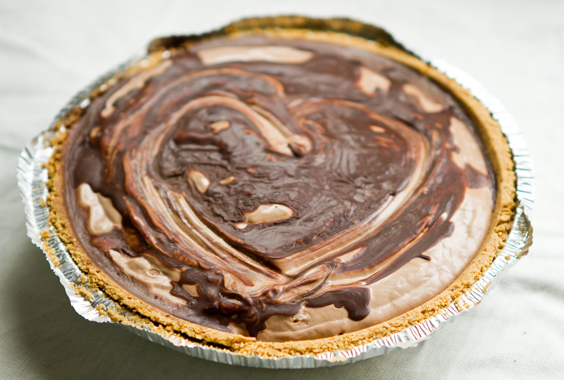 Place the pie in the freezer for 20-30 minutes to quickly chill. Then transfer to the fridge. Chill until ready to serve - usually takes at least an hour to fully firm. Serve with a swirl of vegan soy whip - or homemade hand mixer coconut whip - or use an isi dispencer for coconut whip. Swirled soy whip and vegan chocolate chips..
Kinda messy. But then again, aren't all good desserts a little messy?..